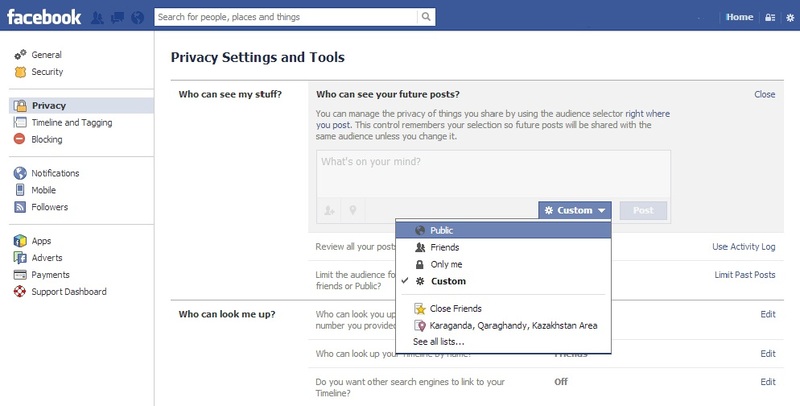 How to install privacy settings? 1. 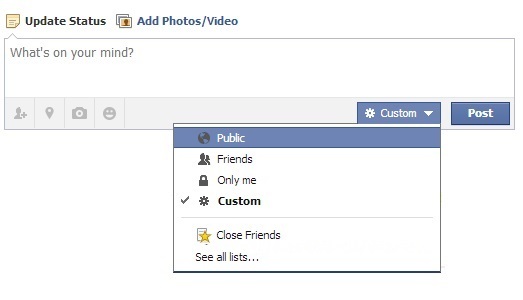 Click the icon in the top right corner of the page and choose Privacy Settings in the drop-down menu. 2. Click Edit opposite the setting you wish to change. You can regulate the visibility of your posts and publications and availability of you profile information (email, mobile etc.). One can choose Timeline and Tagging settings in the menu on the left. For example, it is possible to limit the ability of other users to publish content on your profile page. Tagging is a parameter that allows you to approve or decline all tags which other users add to your publications. When this parameter is turned on, the tags that are added to your photos or publications do not appear until you approve them. When the tags preview is turned on, you shall get notifications when a tag needs to be reviewed. You may choose approve or ignore the tag. You can also control the privacy of every post when you publish it.